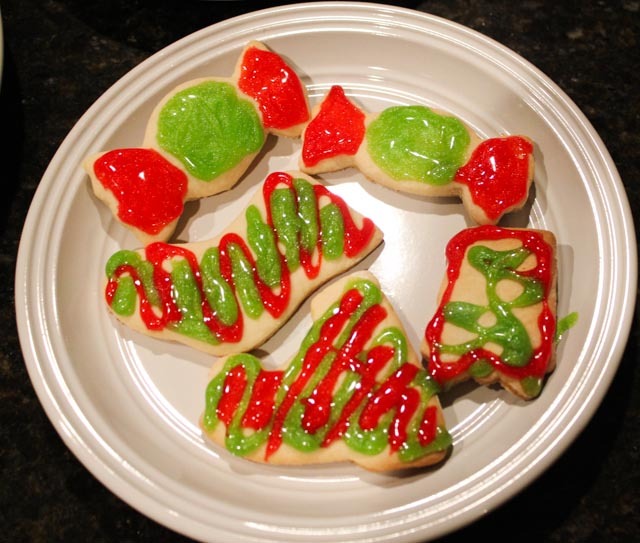 I am really looking forward to Christmas tomorrow, and in honor of Christmas eve, I decided to surprise my family this morning with freshly baked homemade Christmas sugar biscuits! It was my first time doing this, and it came out a little bit harder than I had anticipated but is yummy nonetheless. Keep reading for the recipe. An electronic mixer (if you don't have one, a wooden spoon will suffice). Start by mixing the flour, baking powder and salt together. When that is done, in a separate bowl mix the sugar and butter, and then gradually stir in the eggs. When the second mix is perfectly done, gradually add the flour mix in, and using your electronic mixer (or wooden spoon), whisk it as you proceed. 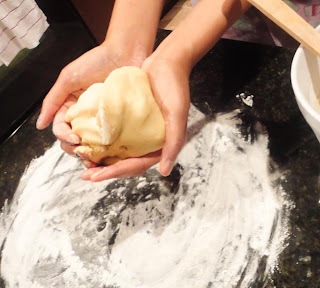 Using your hands, make a round dough, wipe your counter surface clean (make sure it is very clean :) ), rub enough flour around the surface and on your rolling pin, and then knead the dough. 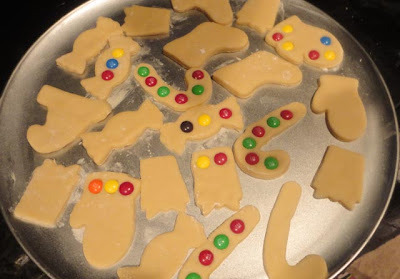 When that is done, cut out your biscuits using your cookie cutters. 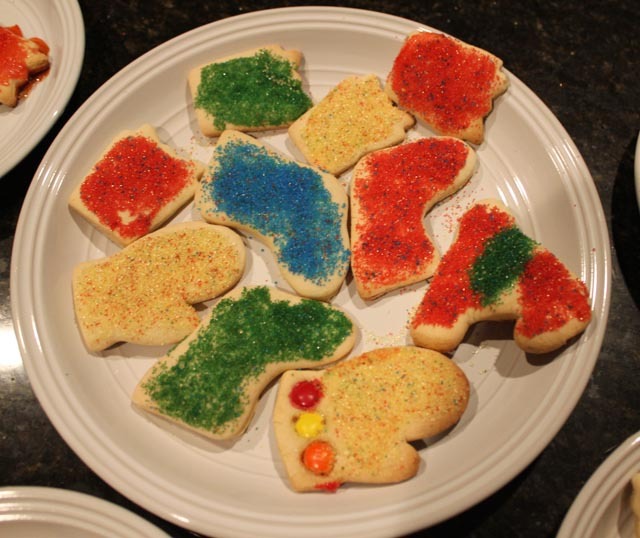 Now you're getting closer to baking it but before you do, place the m&m's in the cut out biscuits. 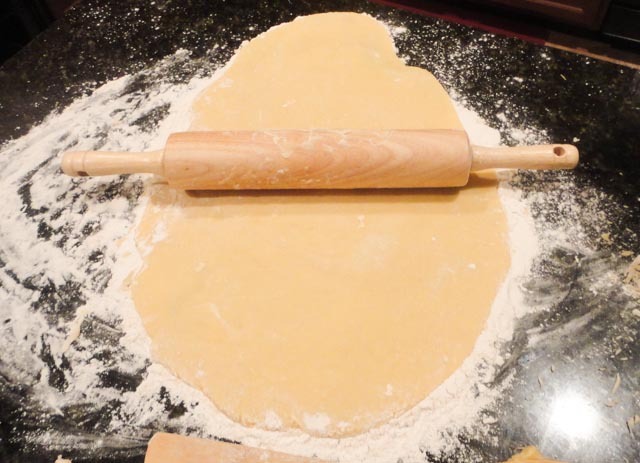 Put the biscuits on the pan and bake at 325 degrees Fahrenheit for 12 - 15 minutes. 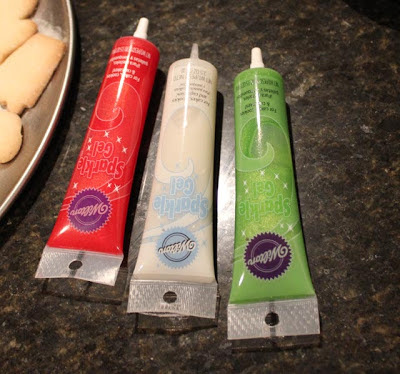 If you want to use sprinkles to decorate, whisk an egg, use a baking brush to put a light layer over the biscuit, and pour the sprinkles on the biscuit. In this case, the egg serves as a "glue". Let me know if you have any questions or suggestions, I love learning new recipes! Merry Christmas everyone - Onivie xo!